It can feel a little overwhelming to make friends as a senior. There are a few ways you can put yourself out there so you can build strong relationships with others. Just like romantic relationships, friendships take time to develop and you may not meet someone who you click with right away. Be patient and take your time getting to know people. Check out some nearby restaurants, bars, or coffee shops. Once you find one that you really like, begin hanging out there at the same time and on the same days. If you're retired or have a more open schedule, pick a time that's not during typical meal hours so you have a better chance of meeting people with similar free blocks of time. If there is a community table or bar, try to sit there so you can meet others who are open to chatting. If you see someone you're interested in talking to, test the waters by smiling and saying hello. If they seem amenable to chatting, you can ask them a bit about themselves, what they like to do for fun, and if they have any children or grandchildren. If you continue to see the same people there, it can be a great way to establish common ground and start a friendship. Whether you go to classes, walk the same path, or eat at the same restaurants, be a regular. Get to know the instructors, staff members, or servers so you become a household name. Doing so will attract attention your way and possibly spark a friendship with other seniors who enjoy patronizing the same place. 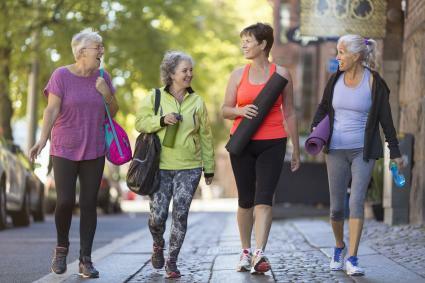 This allows you to open yourself up to meeting other seniors who have similar interests. When you begin to notice someone who is there at the same time as you typically are, you can start off by chatting with them. After seeing each other a few times, you can ask if they'd like to meet you next time either to do the activity together or maybe get a cup of coffee afterwards. Remember to take it slow and get to know them by asking about their home life, family, and hobbies, before setting up a time to hang out. This way you have a chance to establish rapport and ensure that you two get along well. Even though it might feel nerve wracking to say something first, it's a great way to break the ice. Remember other seniors may be interested in making friends as well, so try not to let nerves get in your way. 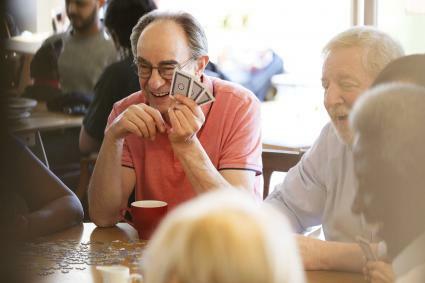 You might be pleasantly surprised by how friendly other seniors can be, and by how quickly you get used to initiating conversations. Usually people are pretty comfortable talking about themselves, so ask a few questions about what they do for fun, if they are still working, and what their family is like. If you enjoy talking with them and it seems like they are having a good time as well, ask if you can have their phone number or email address so you can stay in touch. If they agree, you can contact them and ask if they'd like to meet up again. Be sure to let them know how great it was getting to know them. After hanging out with your new friend a few times, make an effort to be extra thoughtful. If you know they love a certain baked good, item, or meal, go the extra mile and bring it to them or take them out. Good friendships are based on respect, kindness, and reciprocation. Making an effort to be kind shows them that you care. 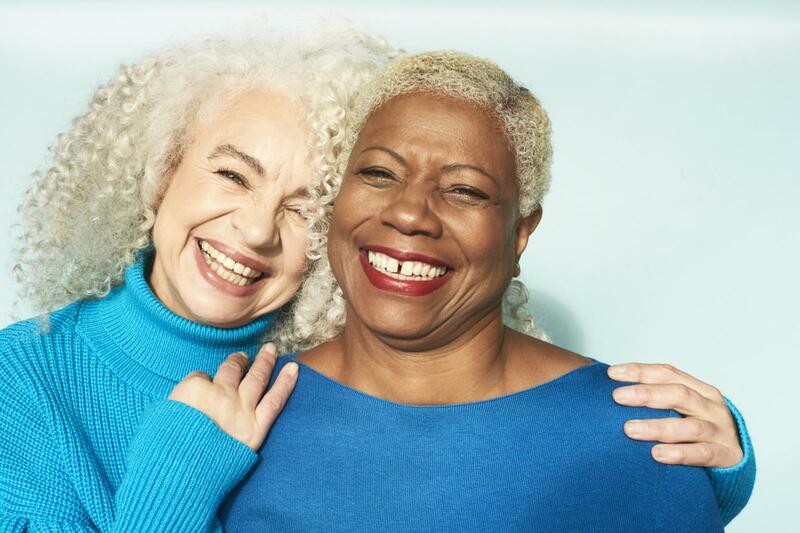 Keep in mind that most seniors don't want to waste their time on fair-weather friends so being extra kind can go a long way in showing them that you take your friendships seriously. A great start to any friendship is finding common ground. When meeting new people, try to find interests you share, and then plan on engaging in those hobbies together once a relationship has been established. This can bring you both closer together and allow you to get to know each other while doing something fun, which can also take the pressure off of maintaining a conversation. As a senior you've experienced a lot, so focus on interests that genuinely bring you joy, instead of trying to just please others, and be honest with your new friend about them. This way you'll be able to stay true to yourself and find friends who enjoy similar activities. Although it can take time to make new friends as a senior, it is definitely worth the effort. Solid friends can enrich your life and provide you with a supportive, loving, and kind network of like-minded people.